Blues guitarists know Jay Geils as a respected jazz/blues guitarist with a command of many styles and a true love for the history of the guitar. Jay, backed by a guitar/bass/drums trio, leads the viewer through the history of electric blues guitar from Charlie Christian to Chuck Berry to B.B. King and beyond. 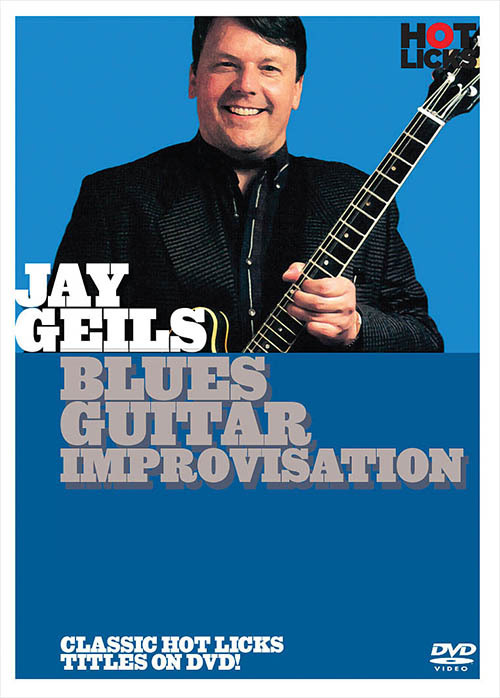 Geils covers bebop, swing and slide guitar; open E and G tunings, augmented and tritone substitutions, getting the correct blues tone, and many other areas. 1 hour, 17 minutes.